Let me show you the best Vietnam travel destinations! Breathtaking nature, incredible food, and history are all awaiting you! Vietnam is one of my favorite countries, this is my third time in this beautiful country and I’m more than sure that there will be a fourth and a fifth and a…. you get it. Before my first visit, I had mixed feelings, I didn’t know what to expect. I read so much good and so many bad things too about this country. Some people were in love and some swore they will never return due to their bad experience. There are a lot of controversies around this country, about its cleanliness, safety, and the people who live here. People keep saying Thailand receives 80% returning while Vietnam only 10%. I’m sure one of the reasons is because even well-traveled people keep comparing these two countries with each other while in reality, they couldn’t be more different. These two countries have a different history, culture, politics, economic situation, and religions, hence the people and everything you’ll find here. While Thailand enjoyed freedom and tourists were visiting the country for a long while Vietnam faced wars, occupations, and tourists only started to visit the country in the last 20 years. However, I’m happy to say that Vietnam is open and inviting despite its sad history. The people are welcoming, helpful, and kind. Vietnam is not just another world but another time as well. People put down their phones and still chat or play chess and go in cafe houses. Here everything is faster but slower at the same time. Here you will find more smells, sounds, colors, rain, sun, nature, and of course scooters. Oh my, so many of them! They will honk -ALL the time, they will not stop at red light, and definitely not when you want to cross the road. It may be scary at first, but just slowly cross the road they will go around you. Do not run or get scared and just stop in the middle of the road. GREEN – You can go! ORANGE – You can go! RED – You can still go! We traveled from North to South three times, spent over a year here, and been to more than 20 towns, villages, and National Parks. It is true that it can be hard to travel in Vietnam but its uniqueness is undeniable. It changes how you look at the world and experience it. 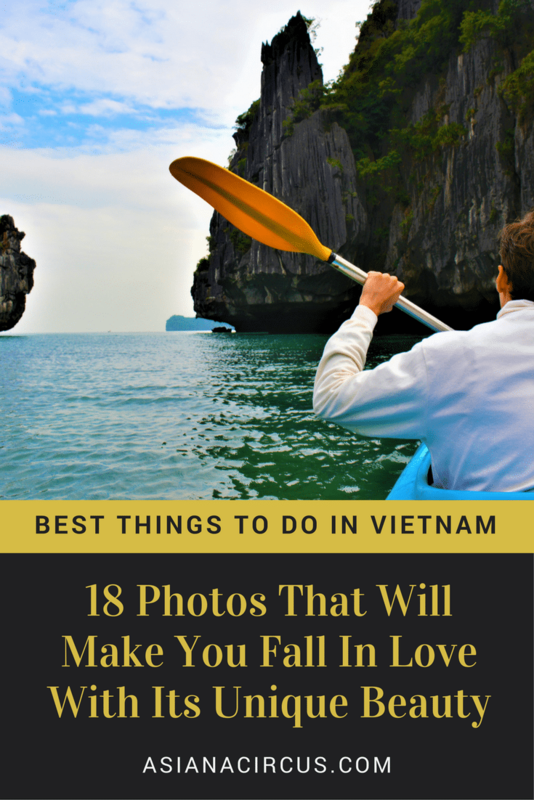 You need more patience and more time to truly experience Vietnam but it will give you a lifetime of memories and it will make you more compassionate and loving. Vietnam deserves more love and more understanding and in exchange, it will give you the same. First, we should quickly go through the most important things. 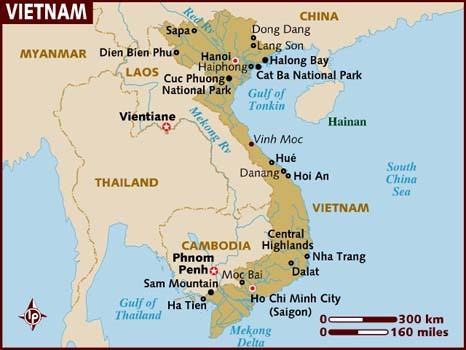 Vietnam is in Southeast Asia, its language is Vietnamese but many people speak at least basic English, especially in bigger cities. The currency is Vietnamese Dong – $1 = 22711.50 VND (2017). In case you’re worried about language difficulties just use Google Translator. You can buy a Vietnamese SIM when you arrive and use Wifi anytime. Viettel gives you 10GB over 30 days for 120.000VND | $5.30. I would recommend learning at least a couple of words in Vietnamese. The locals appreciate it and also makes a lot easier to connect and communicate with everyone. We collected together our favorite free places where you can learn languages online for free so you can get started anytime you want. It’s good to keep in mind that Vietnam’s weather varies significantly throughout the year and the country. 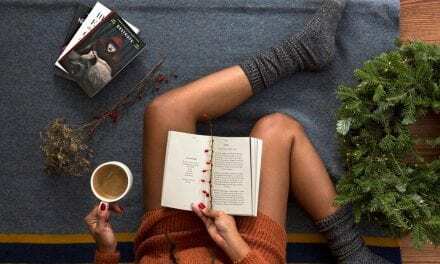 During summer the weather gets hot & humid ( daytime temperature around 30°C) and during winter – especially North – it can get pretty cold ( daytime temperature around 8°C, in the mountains it can even snow) the south enjoys considerably warm weather throughout the year. The best time to visit Vietnam is spring -February to April – & fall -August to October- when the temperatures are pleasant and rainfall is lighter across all destinations. Always check the weather before you go and not just in the country but in the area as well where you want to visit. Keep in mind you have to pack clothes accordingly. If you visit Vietnam during winter time and want to travel from North to South you will need warm clothing; coat, boots, long pants on the north and shorts and bikinis while you’re at the beach on the South. Do I need a VISA to visit Vietnam? How can I get one? Yes, foreigners need Visa to visit Vietnam. The good news is it’s fairly easy to get one! You can apply for a visa online or on arrival. I would recommend applying before arrival. Visa Fees vary. You can also apply for a visa in person at a Vietnamese Embassy near you. How to get here & How much does it cost to travel in Vietnam? 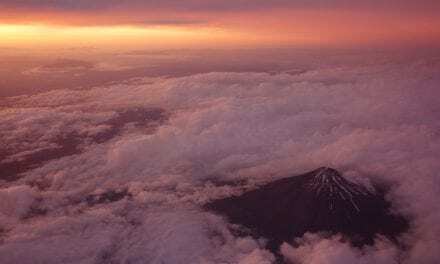 Our favorite flight booking site MOMONDO, hands down. We always find here the cheapest flights. 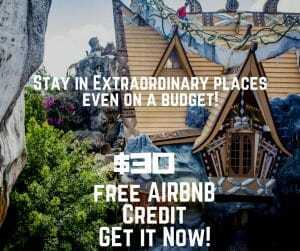 For cheap accommodation, we use Airbnb where you can save up a lot of money especially if you stay for longer than a week or possibly even a month. Not to mention you can stay with locals and get to know the culture and the city through their eyes. We had lovely stays in Hanoi and Ho Chi Minh City as well. We always use HotelsCombined to find cheap hotel rooms not just in Vietnam but in any country we visit. This site collects the best offers from all around the web (booking.com, Expedia, etc) and collects it together. In case you prefer tours I recommend heading over to StrideTravel. 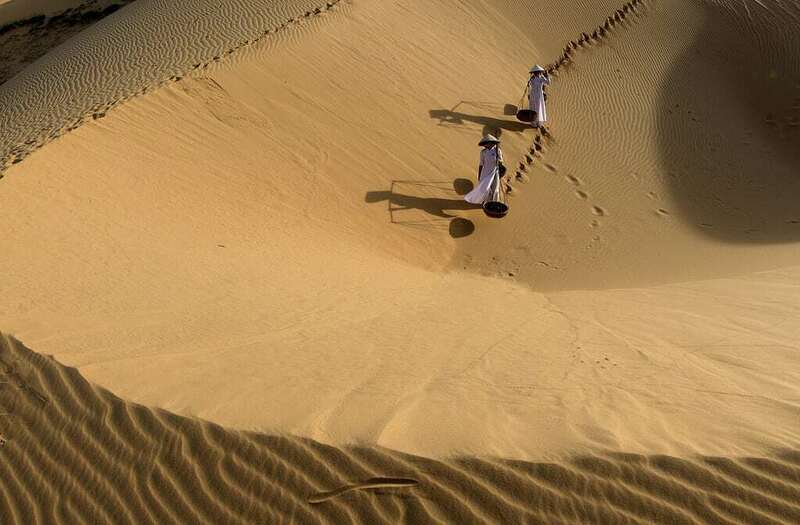 You can search from thousands of award-winning tours from budget to luxury travel. 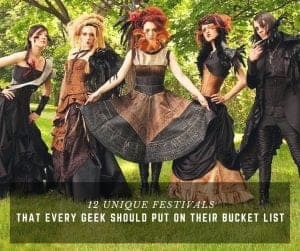 You can find useful information and great tips on their blog too. It’s basically a search engine for tours around the world so you can find the best, cheapest, and most exciting tour that will make your trip memorable. 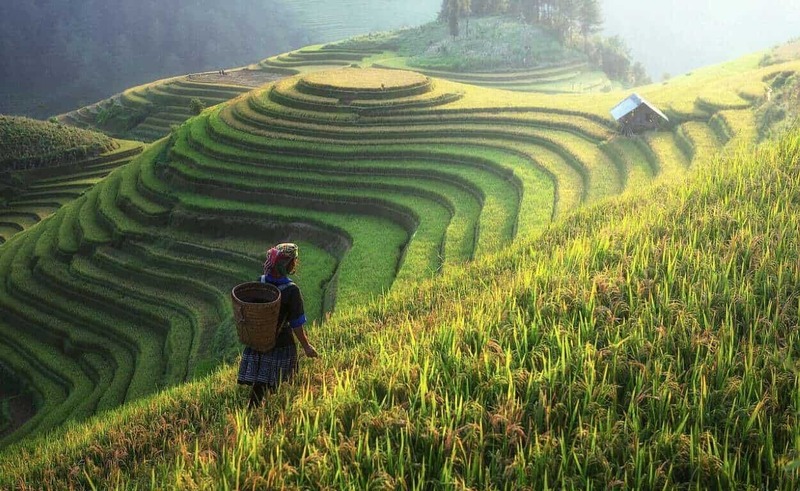 You can easily travel around Vietnam for $50 a day or even less if you’re good with budgeting. You can find budget/ensuite rooms from $15pp in all parts of the country. Street Food starts at $0.30 for a spring roll or $0.50 for Banh Mi, I will talk more about the wonderful street food in Vietnam. You can check the market, restaurant, transportation, and shopping prices here. 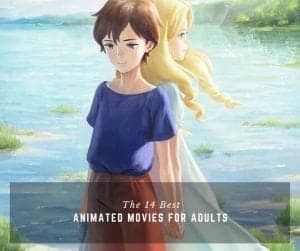 How to travel in the country? You can choose from many options. It really depends on your preferred way of travel, your budget, and on how much time do you have in the country. We traveled by bus, train, and flights. Keep in mind it can take a lot of time to get from Hanoi to Ho Chi Minh city with a car it can take more than a day about 26 hours. While you can buy a flight ticket for $40 or less and go from one city to the other in 2 hours. Bus/Night Bus: I would recommend the night bus. It’s comfortable you can sleep easily unless you’re over 185cm/6Foot. Then it can get a little uncomfortable. We bought a Hop on-Hop off ticket in Ho Chi Minh City to Hanoi for 50$ at Central Saigon Hostel. It was great. We could hop off from the bus in any city we wanted and they would pick us up from the hotel on any other day we chose. We had one month to use the ticket. 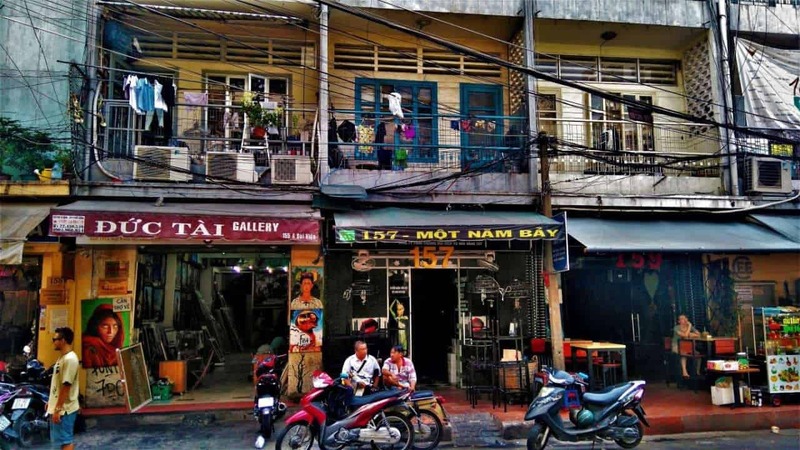 We visited, Dalat, Muine, Nha Trang, Hoi An, and eventually ended up in Hanoi. But there were many other stops on the way. Train: We used a Night train on our first trip to Vietnam from Hoi An to Ho Chi Minh City. It was a fun ride, and they wake you up with lovely Vietnamese music. To be honest, we both found the bus way more comfortable and the price is about the same. Flights: On our third visit we chose to fly from Hanoi to Nha Trang and then to Ho Chi Minh city. It didn’t cost $100/person and the travel took up very little of our time. If you’re short on time and your budget lets you I recommend to fly to far away cities. 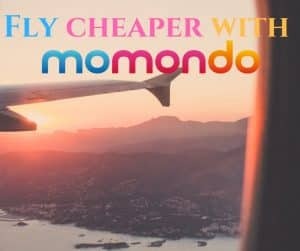 As I said we use Momondo to find the cheapest flights. Motorbike: None of us has a driving license so we didn’t try this one but I have many friends who traveled by riding a scooter in the country. It can get hectic so I would only recommend it if you’re a confident driver. We went on a tour in Dalat city with Easy Rider Tours, we were sitting behind the drivers but you can choose to ride the bike if you like. It was great the drivers were friendly and we felt safe the whole time. You can choose from many other tours. Their prices are good and the drivers and company are reliable. Rent a car: Same goes here. We don’t drive. But it’s fairly easy to rent a car in Vietnam. Our friends use Save70 when they rent cars. Are you ready? Let The Discovery Begin! One of the things I learned at Halong Bay that there are sunrises that worth waking up for. I’m not an early bird but I didn’t regret waking up for a beautiful sunrise since. They are surreal pink and orange dreams and especially a place like Halong Bay will look completely other-worldly. 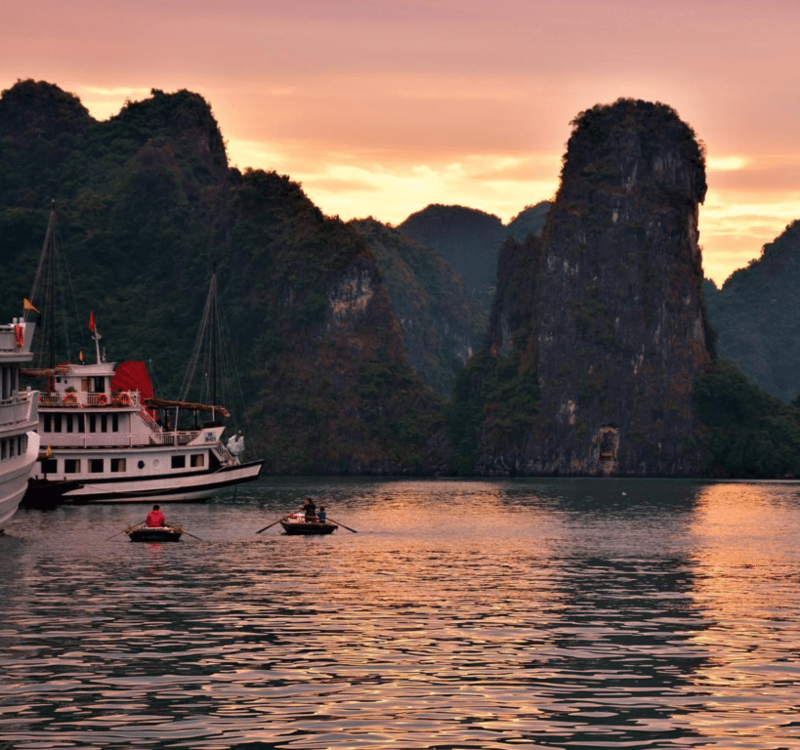 The easiest way to visit Halong Bay is from Vietnam’s capital Hanoi city. We went on a three days and two nights tour with Vietnam Typical Tours for $90/person. It was breathtaking. I would recommend to go on at least a two-day trip. First of it is fairly far away from Hanoi, about a 4 hour ride. And secondly, you do want to see this beauty at sunset and sunrise! We spent one night at the boat and one night on a small island. Both were an incredible experience. 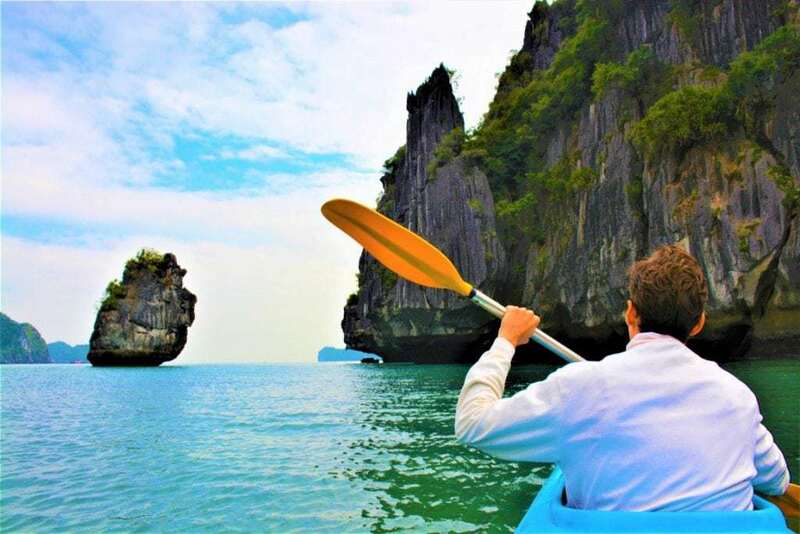 Halong Bay is a UNESCO World Heritage Site its extraordinary natural beauty is 1,553 square kilometers and according to Unesco, there are around 1600 islands and islets. It’s not just a World Heritage Site but also one of The New Seven Wonders Of Nature. If you can, choose to stay at least one night on one of the small islands! At first, we weren’t so sure if we should stay on the boat or on the island. But it is truly a unique experience. If you’re lucky you can even have one of the islands for yourself for a night. You can hop in a kayak and discover the surrounding uninhabited islands or even stay there for a night if you like. The best time to visit is from April-June because of the warm weather. You can even jump into the waters and swim around the islands. Halong Bay is also perfect to try some of the world-famous Vietnamese dishes. I was lucky enough to make many friendships while in Vietnam. I think while Vietnamese people not as smiley as the Thai or people in the Philippines it doesn’t make them less kind, friendly and helpful. We were invited to dinners, shown around in local areas that we probably wouldn’t have visited otherwise. When I take photos most people smile and wave especially younger people who speak English are very friendly and more open to visitors. Stay in a homestay if you can! It’s both good to experience more of the country’s authentic side and budget friendly too. Remember to be open and talk to people, a whole new world will open up for you. How much I love you yummy street food of Vietnam! Although what you will taste is very different in the North and the South. Honestly, I prefer the dishes in the South. More spicy foods, richer flavors compared to the North of Vietnam. My favorites are the spring rolls which you can buy for as little as $0.20 from local sellers. 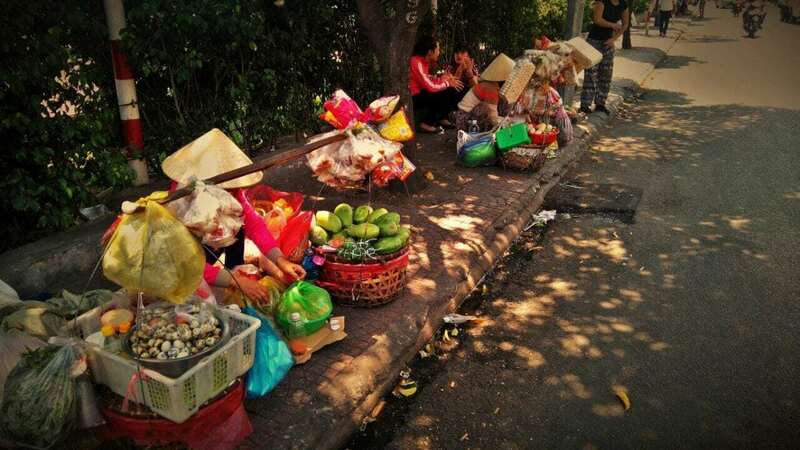 I heard horror stories about Vietnamese street food as well. I never got sick at any place I ate and believe me I tried everything other than dog and cat meat. What? You may ask. Yes, in Vietnam some people still eat dog and cat meat. It’s especially popular in the North. Although, the younger generation rejects eating dog or cat and rather keep them as pets. Don’t worry you will no try accidentally something you don’t want. Dog and cat meat counts as delicacy and advertised proudly so you will see the photo. I try to eat vegan whenever I can but now and then I would try local dishes as well. The other unique experience you can have is to is visit a floating market early in the morning and have a nice breakfast with locals while the boats float in the water. There are so many fantastic dishes in Vietnam you can try, don’t be afraid of the unknown and take a bite! Hoi An is the most beautiful and peaceful town in Vietnam. A perfect place to relax and enjoy long walks in the well-preserved Ancient Town and its small canals. 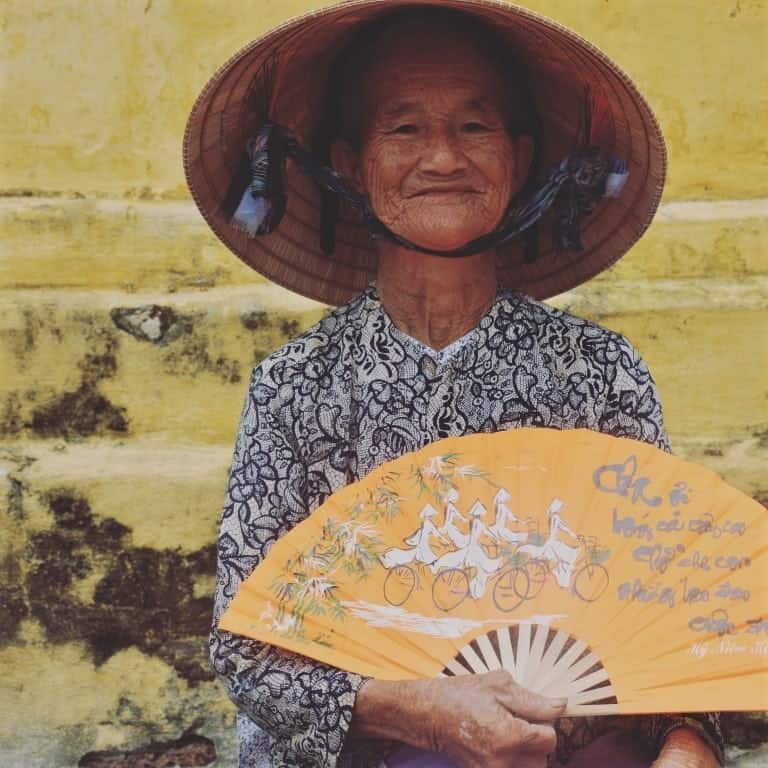 Hoi An is an amazing mixture of history and cultures. You can find here Chinese, French, Japanese, and of course ancient Vietnamese buildings and bridges. You can also visit one of the many tailor shops and buy a unique dress tailored just for you for $20. Hoi An deserves a couple of days and it will be a nice breath of fresh air for you as well far away from the hassle of the big cities. If you like quieter places with lots of history Hoi An will steal your heart. It certainly stole ours! We ended up spending here more than a month. If you stay here longer you can also explore the nearby areas and towns such as Da Nang and visit its amazing Dragon Bridge. 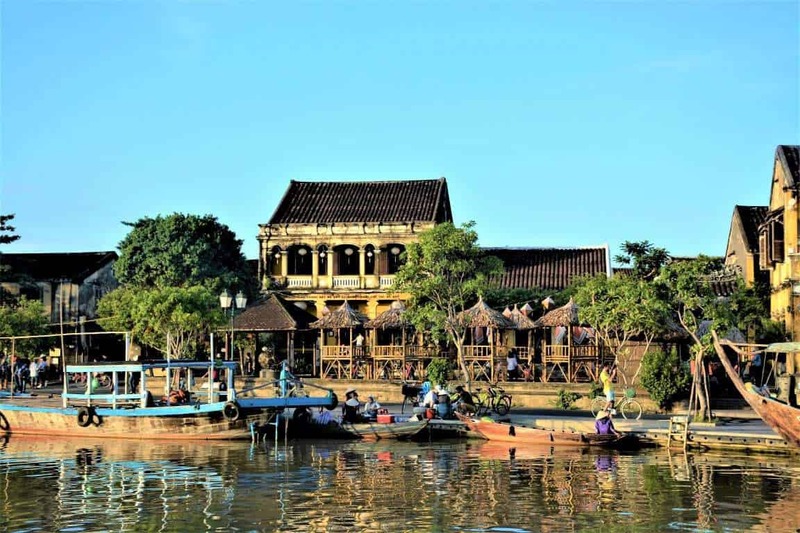 To see what are our favorite things to do in Hoi An check out our post. One of the most memorable experiences I had is from the Mekong Delta. We visited fishing villages and talked to locals about their life there. Take your time. Sit down with locals and just let time pass by. Even if you visit with a tour you’ll have your personal time use it to visit smaller local places and connect with people. 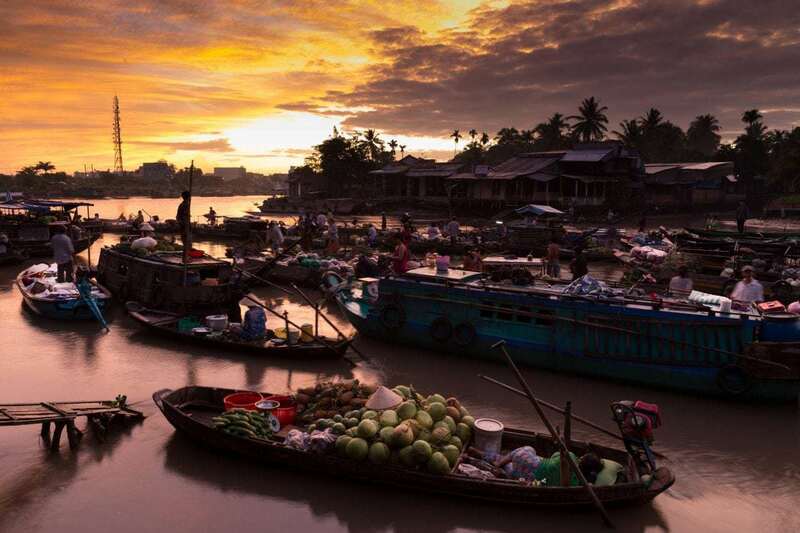 Mekong Delta is one of the most visited places in Vietnam. If you want to make sure that you see more than just the sea of selfie sticks and other travelers’ cameras you will have to take the extra mile. By a mile, I mean an extra couple hundred meters. Try to wander away from the crowd, wake up early before everyone else or go out after dinner. You’ll see all your efforts will be worth it. Ho Chi Minh City is our favorite big city in Vietnam. We love it way more than Hanoi and spent here about 3 months. This city has everything, lush parks, rumbling city life, charming cafes and amazing little alleys where you can have a lunch or a dinner in the local’s living room. 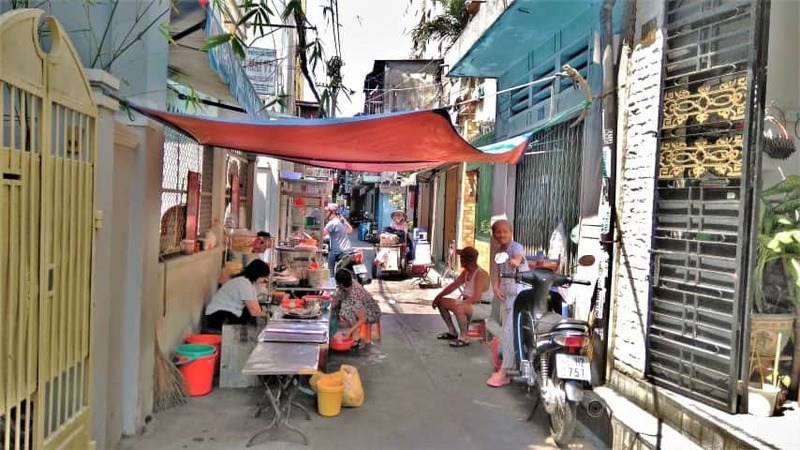 Locals sell their goods and open small stalls end restaurants not just on the streets but sometimes even from their own living room or kitchen that opens to the alleys. Some alleys are so narrow that it’s hard for even one person to fit in. Yet, locals easily fit tables, different plates, bowls, and other goods easily. Not to mention how easily they manage to navigate their scooters in these impossibly narrow and busy alleys. 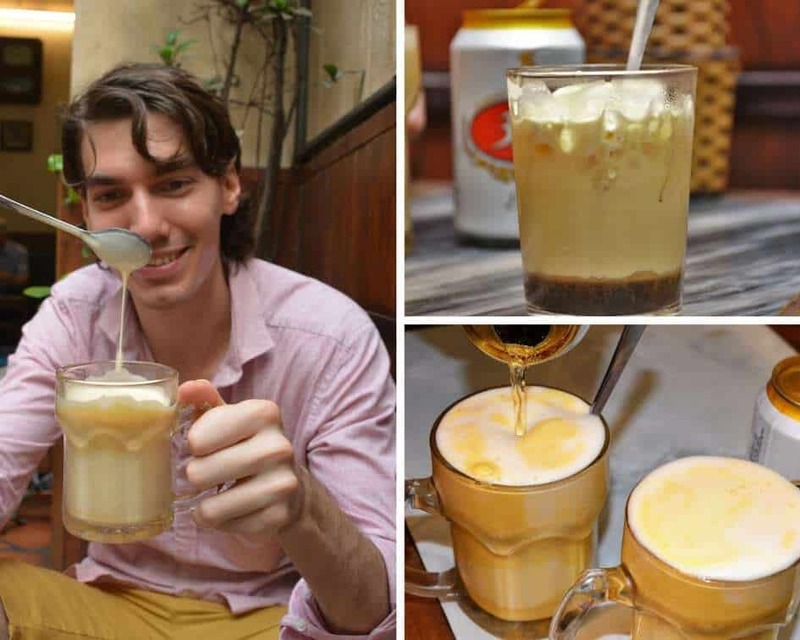 It’s an experience itself just to sit, drink a good, cold Vietnamese coffee and just enjoy the city life around you. 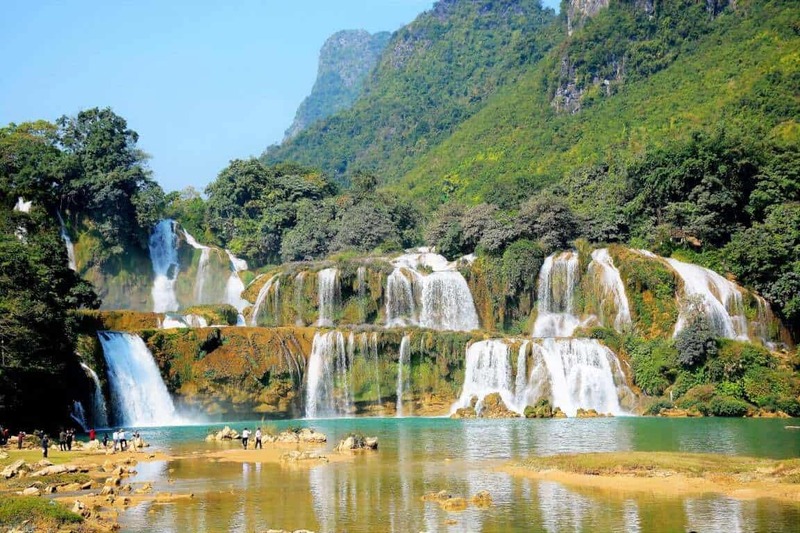 Vietnam has many beautiful waterfalls but nothing compares to Ban Gioc waterfall found on the border of Vietnam and China. Ban Gioc is not just the most majestic one in Vietnam but in the whole world as well. You can visit this beauty any time of the year but the best, if you do so during the rainy season since the water, will be the most robust during those months. The easiest if you go to Hanoi and get a tour from there. Many tours offer a 1-day tour but I would highly advise against going to those. It’s about a good 6-8 hours drive from Hanoi and up the hills, you will be extremely tired, and will barely have any time to enjoy Ban Gioc. Go on at least a 3-day tour and if you want to see more beautiful nature you should also visit Babe National Park but more about this a little later. I know what you’re thinking Egg coffee/ Egg beer… “Yukk”. Our first thoughts were kind of the same. But we always look for new things we can try and taste. We are so lucky we did with these Yummy drinks as well. They’re actually very delicious. Creamy and both of them taste more like a dessert than a drink. Believe me, once you tried egg coffee you will only want to drink that. The Egg Beer is kind of like a weird ButterBeer from Vietnam. Weird but a hella tasty one! If you want to try the real deal you can still visit the Cafe house where they make the tasty egg in beer which inspired the best Butterbeer recipe for adults. Vietnamese floating markets are unique and the food they serve in the morning as well. If you can visit with a smaller group tour and before or around sunrise. Vietnamese floating markets are very different from the Thai ones where you can buy all kinds of small souvenirs, food, drink, and so on. These floating markets are mostly for smaller local sellers who came here where they can buy their product (vegetable, rice etc) cheaper. We tourists mainly visit to take pictures and to see their interaction. There are now a couple of smaller boats that sell food, and water, coffee and some other juice for tourists who visit but that’s just one or two boats. Yet this experience is beautiful and it really feels like as if you traveled back in time when people moved around mainly on boats and sold their goods in the port. Most people don’t know a lot about Vietnam beaches. For long I didn’t know a lot either. Vietnam’s most famous beach is probably Nha Trang which is a lovely town but if you want to see white sand and crystal clear, turquoise waters you should go to Phu Quoc. The wide variety of corals and diverse fish species make this island more than just another beach where you can sit under a palm tree but make it one where you can do some serious snorkeling and scuba diving. While this island is getting more and more – well deserved- attention it’s still considerably peaceful where you can find many activities from partying to walks at night where you can watch bioluminescent planktons magically light up the beach. 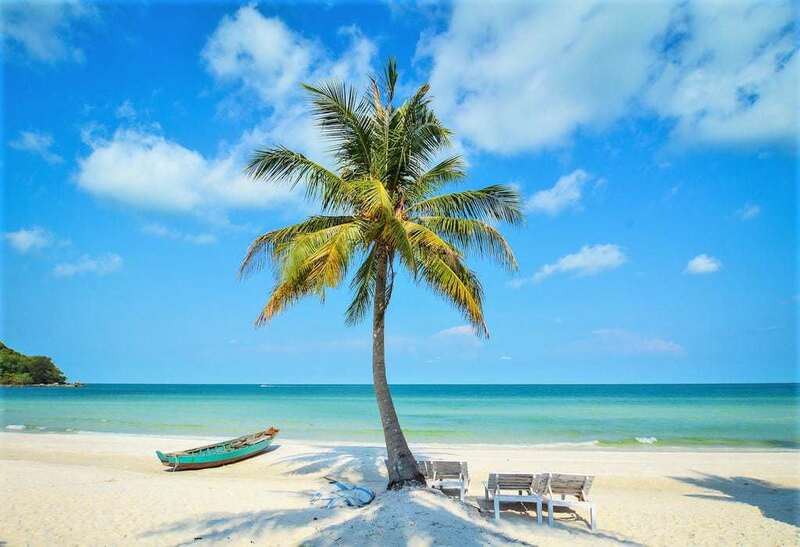 Phu Quoc Island is also the only area in Vietnam where you have a 30-day visa-free stay. If you plan to visit other areas of Vietnam after your stay on Phu Quoc you will need to get a visa. Mui Ne is probably the most surreal place you’ll visit in Vietnam. This small town is only a few hours ride from Ho Chi Minh City. It has a nice beachfront, a fairy stream and two (a white and a red) sand dunes. Both better visited during sunset or sunrise to get a truly otherworldly experience. You can walk or ride a quad bike up the dunes and into the sunset to get the full Mad Max feeling. However, two or maximum three days are enough to discover Mui Ne. Better if you head a little north to Dalat and spend there more time. We spent a magical month in Dalat. This city has amazing restaurants and cafes, wonderful nature, and has the craziest house on earth too. This beautiful architectural masterpiece is the most unique Da Lat hotel you will find. 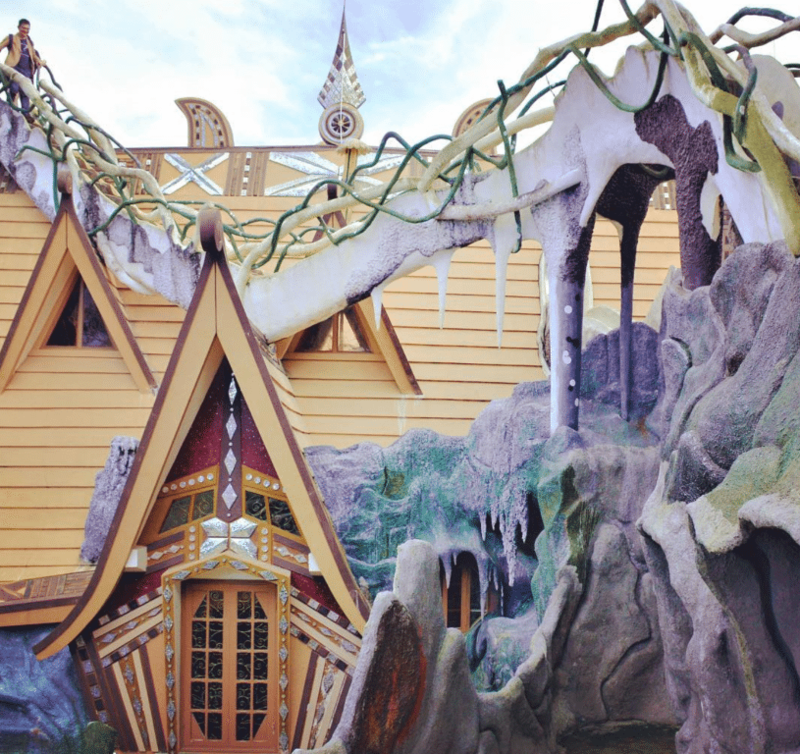 It’s a place where Tolkien meets Dali, Alice in Wonderland, and Gaudi with a big splash of tangled greenery. The owner Mrs. Dang Viet Nga started the Crazy House project back in 1990 to draw attention to the growing environmental issues and to entice people back to nature. The best part is that you can actually stay and spend a couple of nights in one of the rooms. Since the interior design is outstanding as well. You can also have a cold drink in the rainforest-like cafe house on the first floor. A fun place for adults and for kids as well. There are so many negative environmental news these days. Absolutely for an important reason! But we believe it’s important to raise awareness in a fun and entertaining way because that what’s nature is all about! Babe National Park has breathtaking nature, friendly locals live here where you can try homestay and see how they live here. It’s also a perfect place to stop on your way to Ban Gioc waterfall and rest for a day or two. This park is not so touristy which helps to really enjoy the quiet and nature that surrounds you there. One of the most fun things you can do is hop on a bamboo boat and just float into the thick fog early in the morning. Fresh air, stunning view, fun adventures, and magically starry nights are waiting for you here. The most common question we get regarding Vietnam is “Which city should I visit Hanoi or Ho Chi Minh?”. I would say you should visit both because there are tremendous things you can visit around both cities. 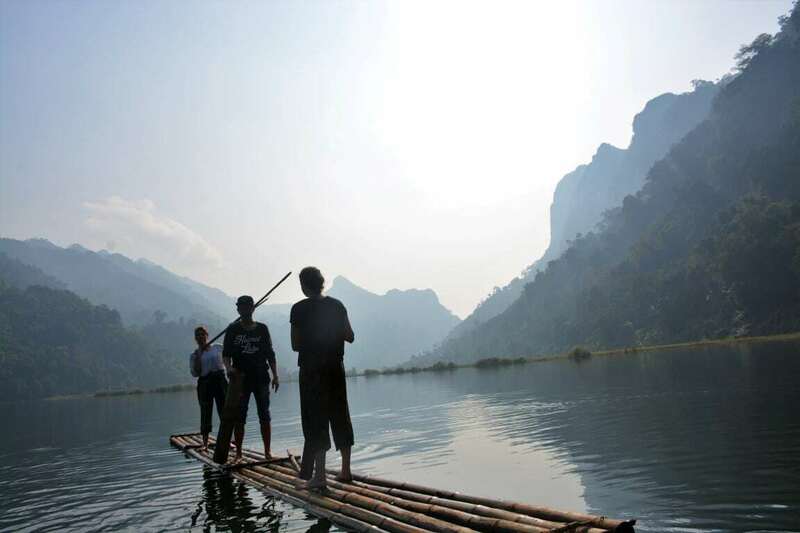 From Hanoi you can visit Halong Bay, Babe National Park, Sa Pa, and Ban Gioc waterfalls just to mention the must-sees. From Ho Chi Minh City you can visit Mekong Delta, Mui Ne, and Dalat. However, if we only talk about the cities itself I would choose HCMC over Hanoi in a heartbeat. There are just more things to do. The city is cleaner, there is more space to walk. There are more parks where you can enjoy a bite of nature. It has more and better restaurants and cafes. People are also more open on the south, more smiley and friendly towards travelers. I also love the food more there. It has more flavor, spice than in Hanoi. The city has more color and fun. That said we had many amazing experiences and made lovely friends in Hanoi as well. However, if I will ever move back to a big city in Vietnam I’m a 100% sure it will be Ho Chi Minh City. Sa Pa (Sapa) is one of the most visited destinations in Vietnam so get ready to see many tourists if you choose a popular tour. Sapa deserves at least a two-night tour but if you can stay at this special place a little longer. There are plenty of tours going from Hanoi to Sapa. Before you choose your tour always check their TripAdvisor for reviews. 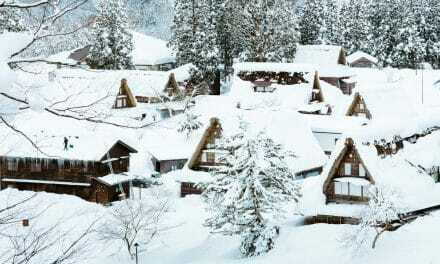 Keep in mind that winters get cold here so may not want to visit during those months. The best time to visit Sapa is from March to May and from September to November. The rice fields are the most beautiful during September and October. If you’re in HCMC you must visit at least two or three of the city’s amazing and creative cafes. I’m a huge anime fan so my favorite is definitely The Maid Cafe. 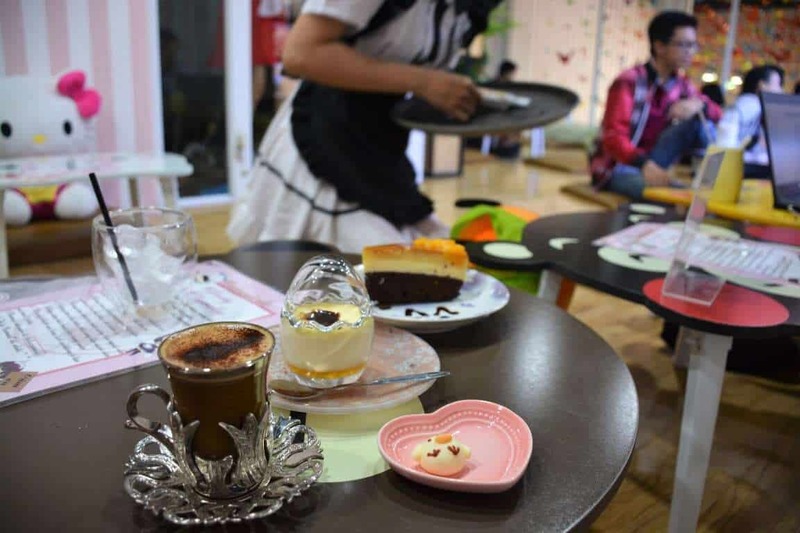 You can also visit Ailu Cat Cafe to play with some incredibly cute and furry friends. There are many vintage cafes like Wheel House Cafe. The charming Cafe Gac Hoa and the exotic Tram Cafe also worth a visit. And of course, you must visit the unique cafes and art shops you can find in a once abandoned building on 14 Ton That Dam. It’s one of my favorite places, it’s artsy, a little creepy and wacky and it doesn’t have many tourist visitors! Make sure to visit this place! You won’t regret it. If you love vintage and antique goods you will feel as if you stepped into a paradise. 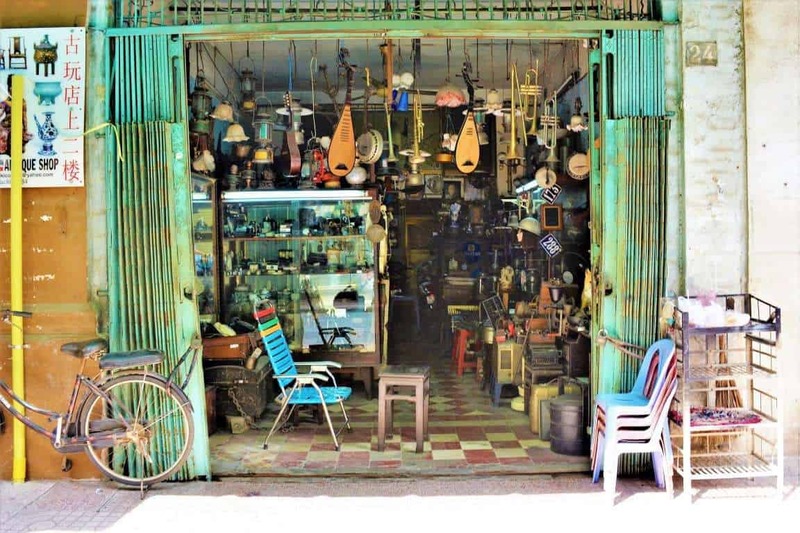 All around Vietnam but especially in Ho Chi Minh City and Hanoi you will find many stalls, shops and designated areas where you can get lost and find unique treasures from the past. 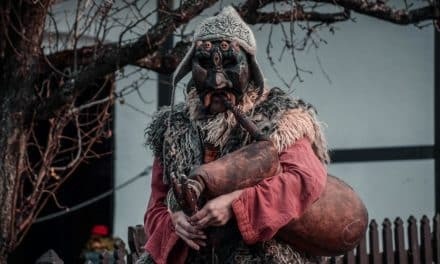 It’s also a somewhat peculiar place to do this because you can find stuff here from not just different ages but from many different cultures as well. You can find here goods from Vietnamese and Chinese to Japanese, European and American culture. Home decor, watches, coins, statues, and clothes to vintage opium pipes. To visit these markets can be a fun experience even if you’re not especially a big fan of antiquities. The best place to hunt for these special treasures is Le Cong Kieu Street which is only a few minutes from Ben Thanh Market on foot. 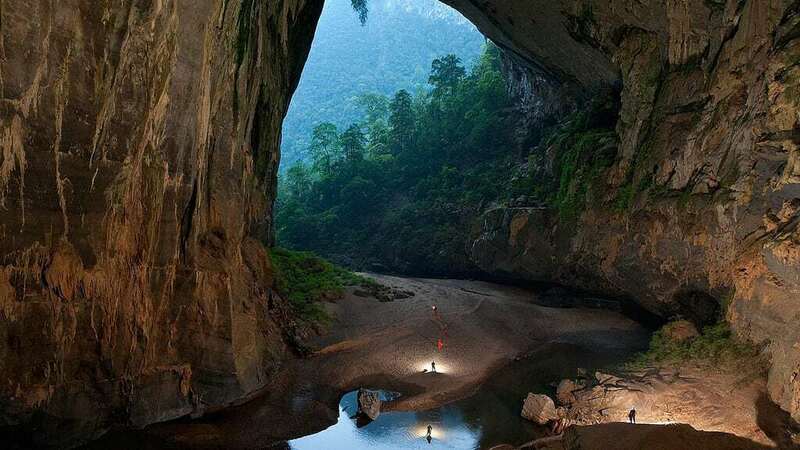 Vietnam is also the home to the world’s biggest cave called Hang Sơn Đoòng. It’s located near the Laos–Vietnam border in the Phong Nha Ke Bang National Park. Inside you can find a large, fast-flowing subterranean river, a full-blown jungle, it is believed to be between 2 and 5 million years old. The cave has only been open to the public since 2013 and touring it costs around $3000. Yes, you read that right. This exquisite monster is still on my bucket list too. There are sometimes also shorter tours for $295 which is still a lot but a lot more budget-friendly. For environmental reasons there are a limited amount of tourists are able to visit the Cave every year. Which is easy to understand since mass tourism would be devastating to the Cave’s unique ecosystem. Not many people visited this otherworldly place. Fewer people have seen the inside of Hang Son Doong than have stood on the summit of Mount Everest. It’s a pricey but for sure a once in a lifetime experience that you can only have in Vietnam. Vietnam truly is a country like no other and it should be on your bucket list if it isn’t already. 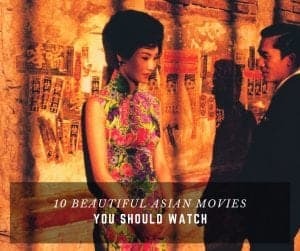 What else do you think should be on this list? We can’t wait for our next return to this wonderland and if you have any good tips please send it to us! We’re always happy to try out and discover new things about Vietnam.